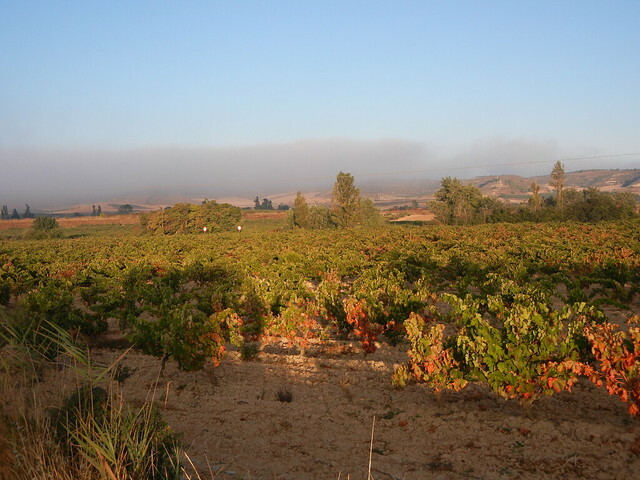 Today was a short day spent walking through the great wine-producing region of La Rioja. It is one of the smallest and yet more diverse of the autonomous regions of Spain and justifiably renowned for its superlative wines. 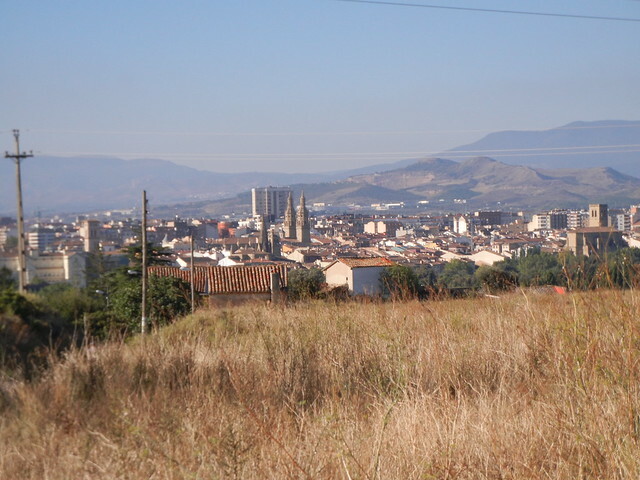 It was only a 10 km walk from Viana to Logrono, so we arrived early. Fortunately we were able to check into our lovely F&G Hotel room immediately. What a lovely room with a deep bathtub and high speed Internet. We reserved our accommodation through Bookings.com the night before. A good choice! 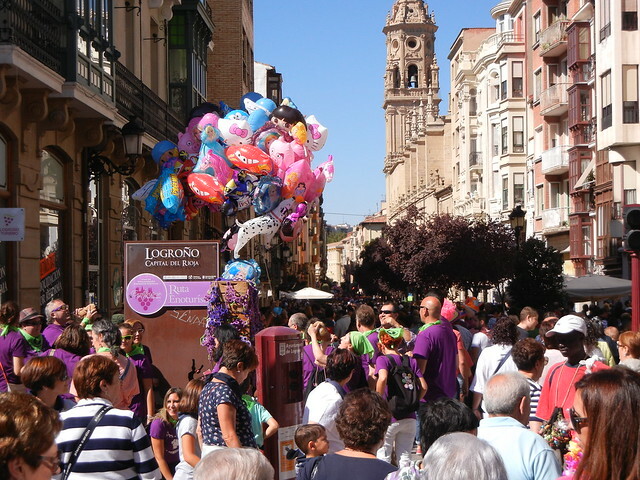 Logrono is a lively university city, but with the addition of the San Mateo celebrations that started today, it was even livelier. Actually it was more than “lively.” It was a wild frenzy with huge crowds of people of all ages, too much noise, and too much wine. There was strong police presence and ambulances were kept handy. 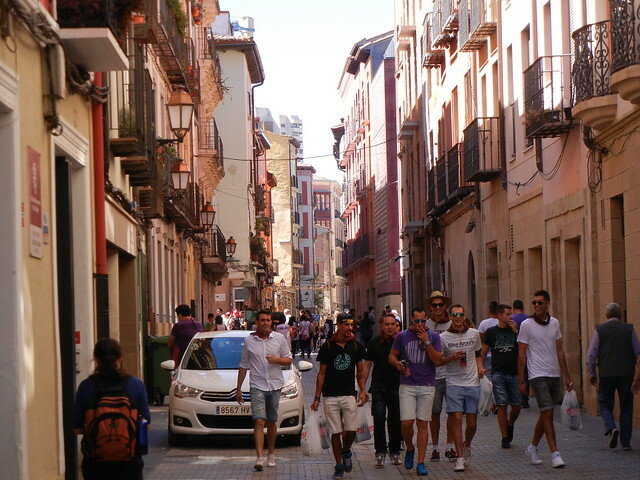 The contrast between Logrono during the San Mateo celebration and the Camino is dramatic, to say the least. Both Dave and I felt nervous, and I wouldn’t be surprised if part of it is caused by not having the moral support of other peregrinos in such a big, crazy city. We got lost in the crowds and so did any spiritual feelings we had. Our plan from now on is to walk straight through big cities such as this and stay at small villages before or after them. Tomorrow we will be in a small town of Navarette with a population of only 2,200. We reserved a private room with shared bath at El Cantaro Albergue in Navarette by email this evening. 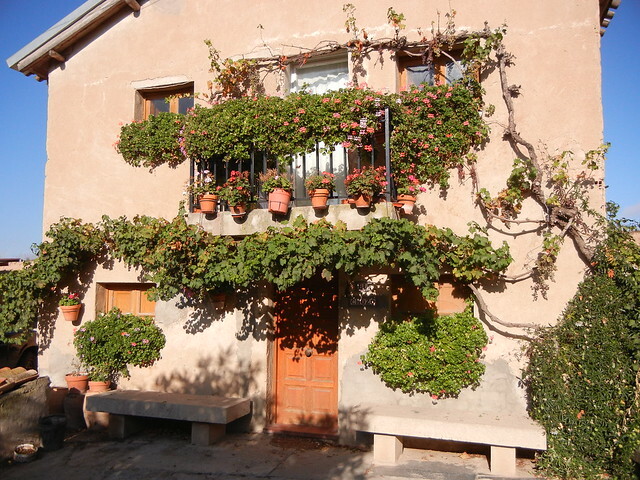 Navarette is only a 12.7 km walk, so we won’t have to rush away from our hotel room in Logrono. Ah, a lovely sleep in! Now it is time for a long, deep, luxurious soak in the bathtub. Just getting around to reading your blog, starting at the most recent page. I will be reading backwards after this. By now you are seasoned “peregrinos”! The blog is such a wonderful way to keep the memories alive for you. Keep on trekkin’!